A trickle of water flowed Tuesday in the Animas River near the confluence with the San Juan River in Farmington. The U.S. Geological Survey reported the river flowing at 0 cubic feet per second earlier this week, but it was later learned the river flowed at 5 cfs. Technicians for the USGS visit each river gauge about once a month to make sure the stations are working correctly. It was on one of these visits that a staffer accidentally entered wrong data into the USGS system. 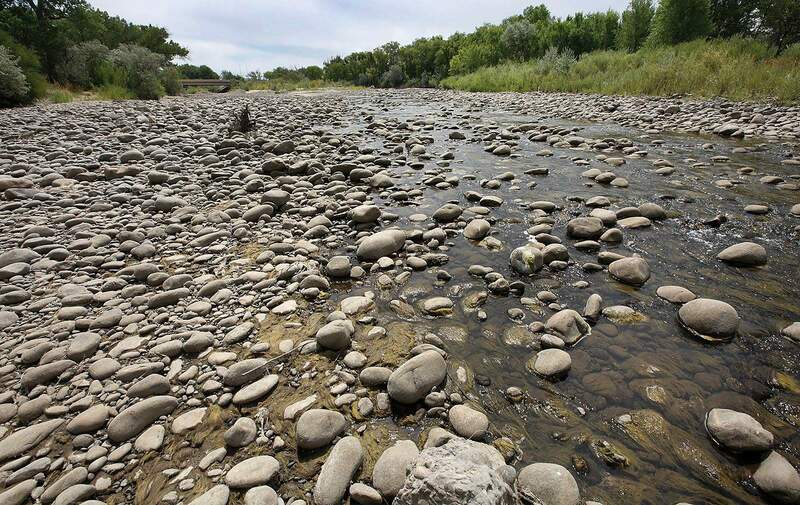 The record has been corrected to properly reflect flows on the Animas River, just above its confluence with the San Juan River, Brinkerhoff said.